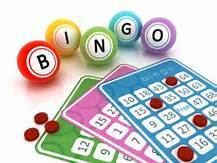 Bingo is a great game to socialize and try your luck at winning a buck! Join us every fourth Wednesday of the month at the Al Amin Shrine. The Kitchen has great food and it is a fun way to support a great cause!